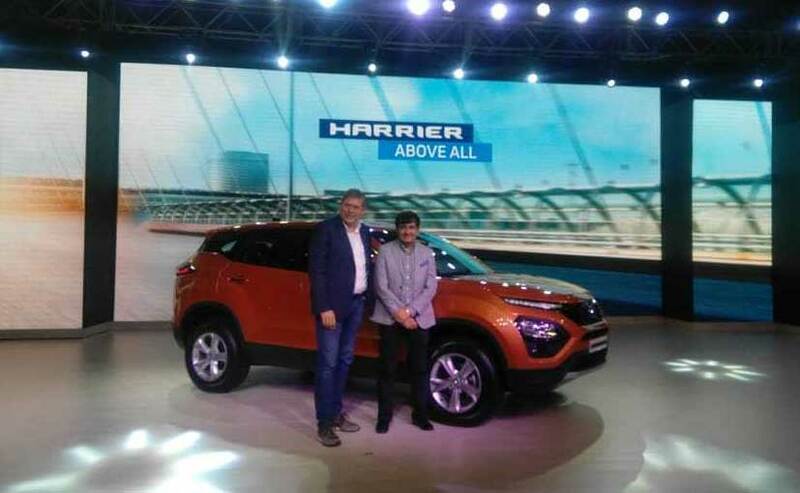 The Tata Harrier has been launched at Rs. 12.69 lakh and is available in 4 variants - XE, XM, XT, and XZ and will be available only with the diesel engine. The new Tata Harrier is based on the Land Rover Sourced OMEGA platform. 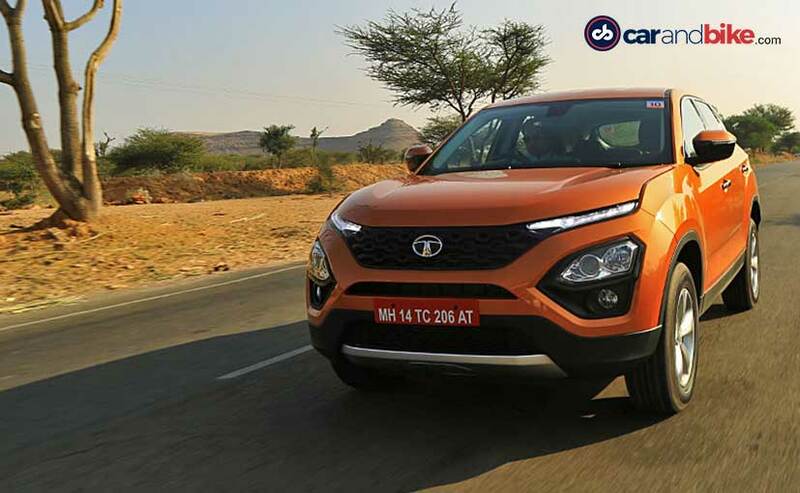 The Tata Harrier price starts at Rs. 12.69 lakh. The Tata Harrier is underpinned by the JLR sourced OMEGA platform. The Harrier debuts Tata's new IMPACT 2.0 design language. Tata Motors has launched the new Harrier SUV in India and prices for the car start at ₹ 12.69 lakh and go all the way up to ₹ 16.25 lakh, all prices ex-showroom, Mumbai. The Harrier is the company's fourth new launch in the country in FY 2018-19 and it's a big one for sure. The Harrier is available in 4 variants - XE, XM, XT, and XZ and will be available only with the diesel variant. The variant wise pricing is given below. The Tata Harrier debuts its company's latest IMPACT design 2.0 philosophy. At the front, the Tata Harrier gets a split headlamp cluster with high mounted Daytime running lights and a large grille with typically Tata esque hexagonal design language. The actual headlamps themselves are set lower in the bumper and have a projector setup along with a separate foglamp cluster underneath it too. And to round off the front end, the Tata Harrier gets a silver skid plate. In profile the Tata Harrier is larger than the XUV 500 and gets a set of plastic claddings on the lower half and wheel arches along with either a set of 16-inch steel wheels or these 17-inch alloy wheels. The most distinct feature around the side though is that C-pillar with the floating roof design language. Move to the rear and the Tata Harrier gets a set of thin tail lamps with LED treatment that is joined by a gloss black panel. Just like the front bumper, you also have a silver skid plate at the rear. The base variant of the Tata Harrier features projector headlamps, dual function daytime running lights, electrically adjustable ORVMs, and rear parking sensors. The new Tata Harrier is quite equipped right from the base variant offering features like - projector headlamps, dual function daytime running lights which also function as turn indicators, electrically adjustable ORVMs, and rear parking sensors. 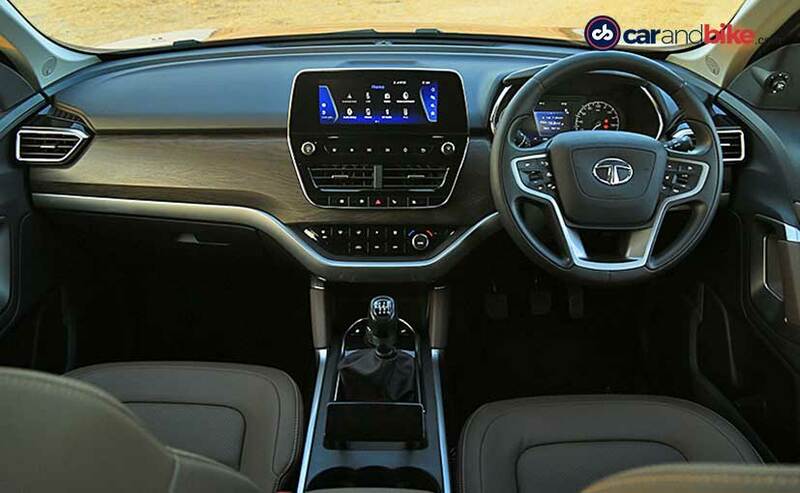 As for the interior and cabin features, the Harrier comes with offerings like - power steering, tilt and telescopic adjustable steering, and all four power windows. On the safety front, the feature list includes - dual front airbags and ABS with EBD as standard. The top-end XZ also comes with gizmos like - a larger 8.8-inch floating touchscreen infotainment system with high-resolution display, nine JBL speakers with amplifier and tuned acoustics, and fully-digital 7-inch TFT instrument cluster. The top-end XZ gets all the bells and whistles including a large 8.8-inch floating touchscreen infotainment system which is linked to nine JBL speakers. 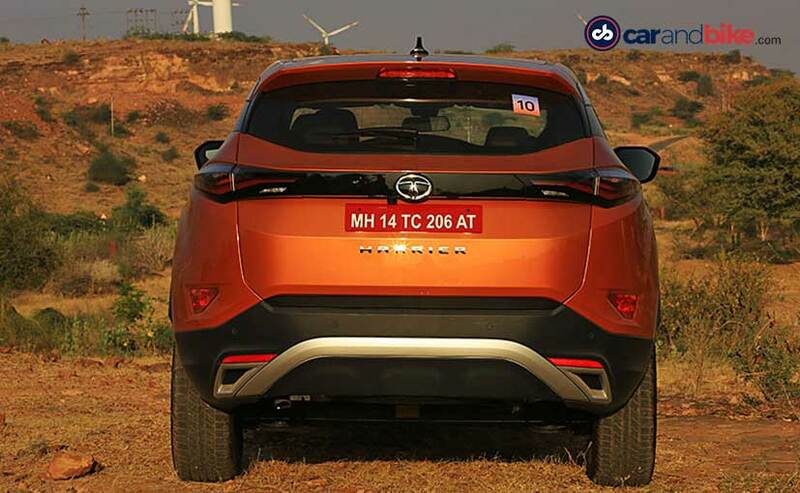 The Tata Harrier has a 2-litre 4-cylinder turbocharged diesel motor, that Tata motors calls Kryotec and is essentially the detuned version of what is available in the Jeep Compass. The engine makes 138 bhp of peak power and 350 Nm of peak torque. The engine is mated to a 6-speed manual gearbox. The Tata Harrier also gets three driving modes, Eco, City and Sport. The SUV also comes with driver assistant functions like - Terrain Response Modes (Norman, Rough, Wet), hill hold and descent assist, rollover mitigation, corner stability control, electronic stability programme, and electronic traction control.